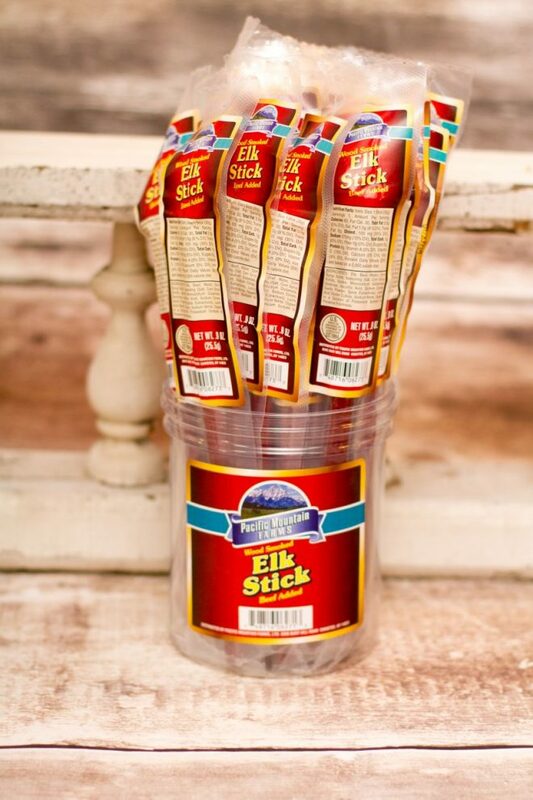 30 individually vacuum-packed game sticks available in Venison, Hot Venison, Buffalo and Elk. 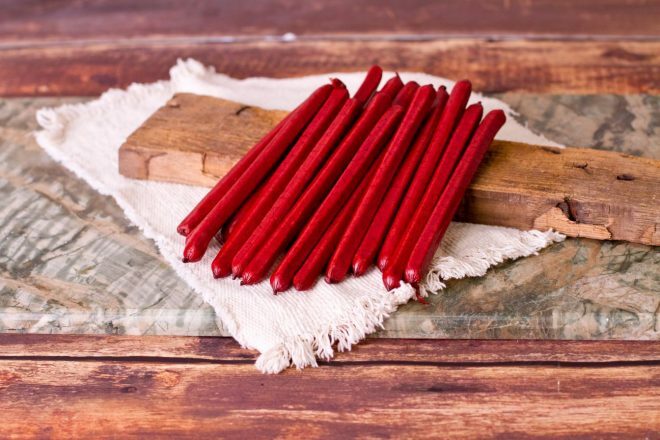 These delicious sticks are low in carbs, and loaded with flavor. A perfect take-along snack for those times when you need a quick pick-me-up. Throw a few in your purse, back pack, desk drawer or gym bag. 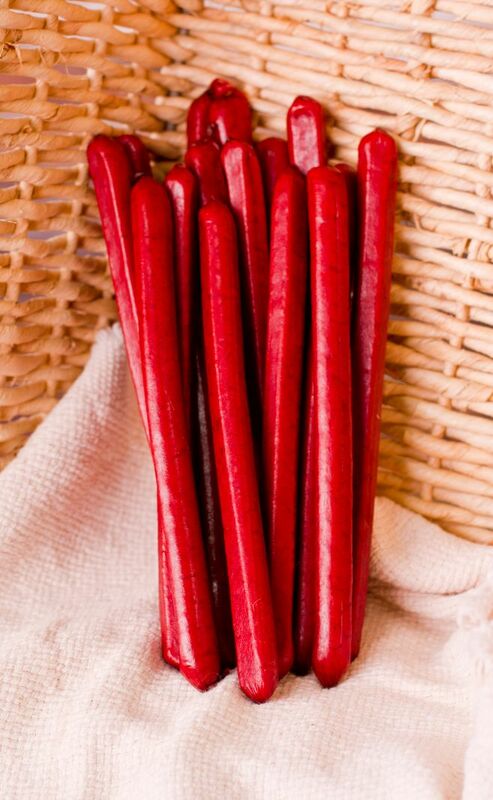 You can’t beat the taste or the price… $1.30 per stick! !